Marazion, the ancient charter town situated on the shore of Mount's Bay in the far west of Cornwall, is one of the most popular holiday destinations in the United Kingdom. As well as being a holiday destination in its own right, Marazion is the "gateway" to the world famous St Michael's Mount. Marazion has an interesting history. It was once a flourishing town, owing its prosperity to the many pilgrims who came to visit St Michael's Mount. Over the years, it has been plundered by the French and by Cornish rebels and attacked by Spaniards. The rise and progress of the neighbouring borough of Penzance in the 17th century marginalised Marazion and today Marazion is largely reliant on the tourist industry. St Michael's Mount is one of Cornwall's most famous landmarks. A steep granite island situated a few hundred metres offshore, topped by a spectacular castle. St Michael's Mount is accessible on foot from Marazion across the causeway at low tide, or by short ferry crossing at high tide. St Michael's Mount castle and gardens are open to the public during the summer holiday season and occasionally at other times. St Michael's Mount is frequently described as "the jewel in Cornwall's crown". If you are on holiday in Marazion, Penzance or elsewhere in west Cornwall, you must visit St Michael's Mount. Whether your Marazion accommodation needs are a luxury hotel, a guest house, a bed and breakfast (B&B), a self catering cottage or a campsite, there will be something available for you. Whether you are on holiday or live locally, food and drink are very important. 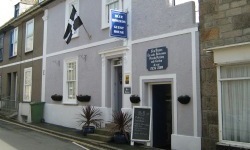 Marazion and other local towns, such as Penzance and St Ives, have excellent restaurants, cafes and pubs, many specialising in fresh local seafood. 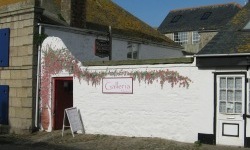 Marazion Guide includes a few real gems of restaurants, cafes and pubs that you might not find on your own. Of course, many people come on holiday to Marazion and Cornwall for the beaches. 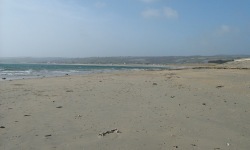 Marazion has a mile long beautiful sandy beach that never really gets that busy. 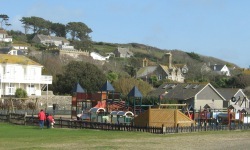 Marazion beach is an ideal family beach with safe, clean water, ample parking and a good children's playground located on the "Folly Field" green behind. And you have the striking view over to St Michael's Mount, situated just offshore. Marazion has something for lovers of sport too. Rugby is taken very seriously locally. If football is your game that is available too. For the more energetic, Marazion and Mount's Bay are known worldwide for sailing, windsurfing and kite surfing; there are also great surfing beaches locally. Make Marazion Guide your guide to Marazion and St Michael's Mount.